» Forum » All Pinball » Which Naphtha? 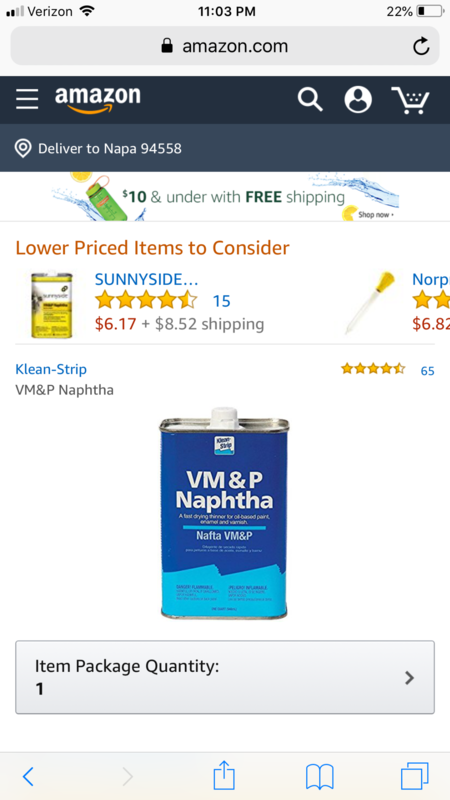 Which can of Naphtha do i buy for cleaning a old eight ball playfield. The first pic or the second? Second pic, sorry guys ive never bought or used before. I’m familiar with the top version. I believe it might just be different packaging of the same product. Either way, I don’t think you’ll be able to get it shipped to California. Cuz California. I like V & P.
If you can't find someone to ship, Nevada isn't terribly far away. what you can get in California is camp fuel.. think i got some crown camp fuel at REI. 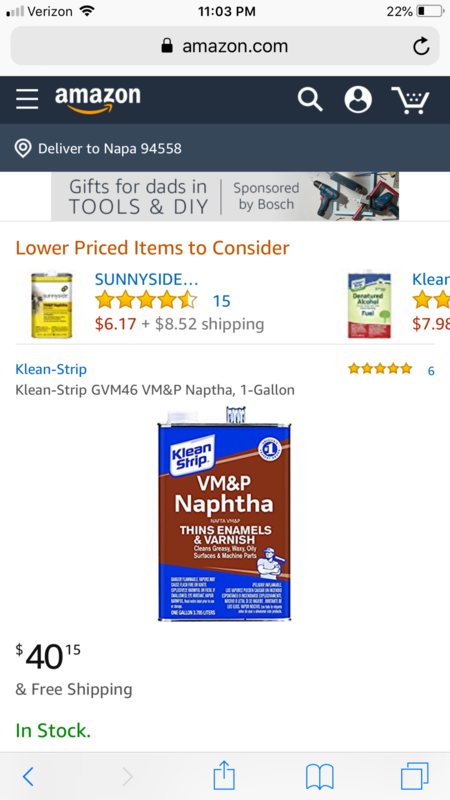 that's mostly naptha (90%-100%) per msds. 0-5% toulene. haven't used it yet though, got idea from threads elsewhere. I use Colman fuel or Crown. Used on Sterns and Williams from 1992-2016 pins. No issues. Wear gloves, it’ll dry your hands to the point of cracking skin. Don’t breathe the fumes. Don’t smoke while using. Don’t use it to put out a grease fire.